Prolotherapy, also known as Proliferant Injection Therapy, is one of the oldest forms of Regenerative Medicine. Prolotherapy in its modern form was first developed in the 1950s by Dr. George S. Hackett, a surgeon who discovered that by injecting certain substances which he called Proliferants into chronic injuries of tendons and ligaments, he could induce a tissue response which would provide improvements of pain and dysfunction. In a typical tendon or ligament injury of our, some of the cells break open, releasing proteins, fatty acids, and other substances into the region. 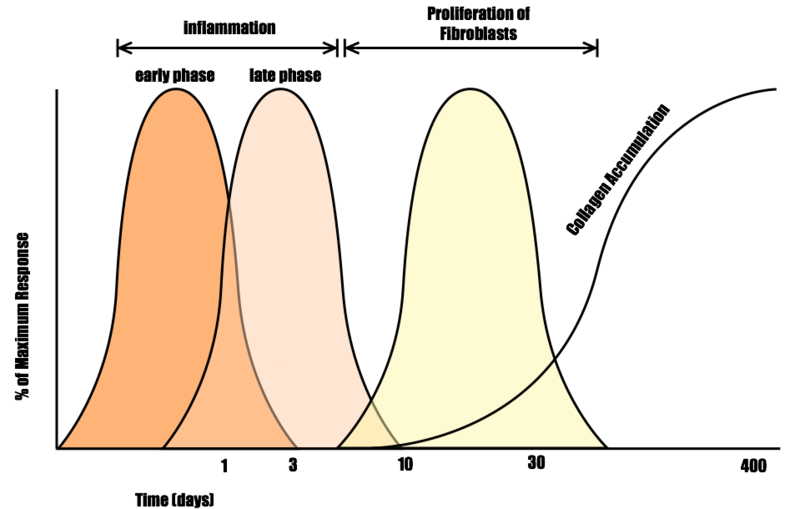 Platelets aggregate at the site of injury followed by an inflammatory response which attract other cells such as fibroblasts, which then proliferate (or make additional copies of themselves) to produce collagen and form connective tissue. Prolotherapy uses this natural tissue response to re-start the healing process in chronic injuries (due both to trauma and age-related degeneration) for our Nashville patients. In a typical treatment, the site of greatest pain and tenderness is identified, and sometimes visualized using ultrasound. The Proliferant in our Nashville Prolotherapy is chosen, drawn into a syringe, and injected into the injured tissues using either ultrasound or palpation techniques. The Proliferant in our Nashville Prolotherapy induces a mild inflammatory response at the sites of injection, which will attract other cells such as platelets, white blood cells, and fibroblasts. The cells then undergo their typical healing cascade as described above to repair the injured tissue. There are many different types of Proliferants in Prolotherapy that can be used. Common Proliferants include Sodium Morruate, Phenol, P2G (a mix of phenol, glucose and glycerine), and Dextrose. At our pain clinics in Nashville and Hendersonville, we use Dextrose at 12.5% and 25% concentrations as our Proliferant. Dextrose has what we believe to be the best efficacy and safety record. Nashville Prolotherapy is a safe and effective procedure with a long track record of success in the treatment of joint, tendon, or ligament pain due to either trauma or age-related degeneration. At our interventional pain clinics located in Nashville and Hendersonville, we are committed to identifying the cause of your pain and treating your pain at the source. Nashville Prolotherapy is one of our cutting-edge, pain management treatments that stimulates your own body to heal itself. If you would like more information or would like to set up an appointment to discuss Prolotherapy with one of our Nashville or Hendersonville board-certified physicians, please call us at Interventional Pain Center (615) 972-1100.